The Beacon Hill Times reports the owners of the medical-marijuana dispensary on Milk Street want to move to larger quarters at 304 Stuart St. - where the Mooncusser seafood restaurant is now - so that they can add a showroom to earn some of that sweet, sweet recreational-marijuana money. Read more. Company lawyer and former City Councilor Mike Ross talks as company treasurer Brendan McKee listens. 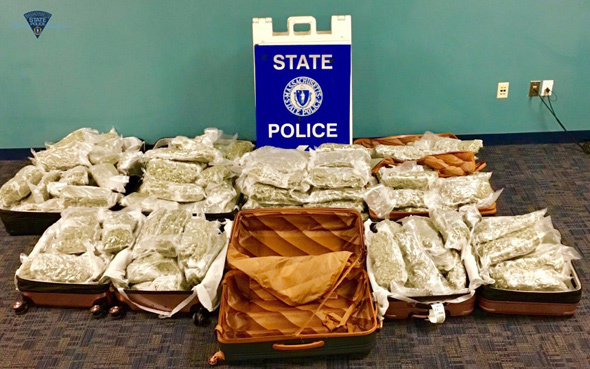 A company about to open its first pot shop in Williamstown hopes to come to the other side of the state and turn a gardening and flower shop on American Legion Highway in Roslindale into a dispensary that would offer pot to both medicinal users and people who just want to get high. Read more. 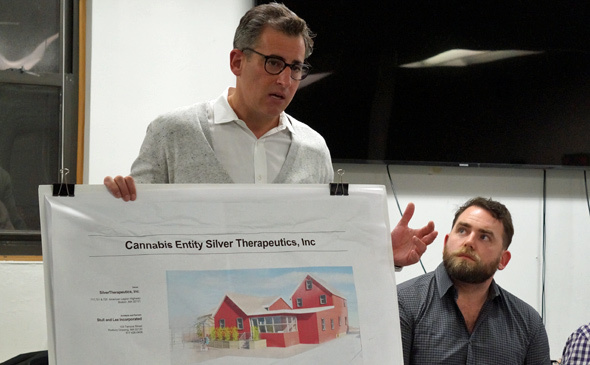 The Zoning Board of Appeals today unanimously approved a potrepreneur's proposal for a three-story building in Newmarket Square in which to grow what he says will be craft marijuana for both recreational and medicinal uses. Read more. Best to put that stuff in neighborhoods better suited for it, like places where traffic and parking aren't issues, outraged South Enders, including one woman whose last name you'd think would indicate more sympathy for the idea, tell Compassionate Organics, the Boston Sun reports (yes, it's the company that won city approval for a medical dispensary on Newbury Street). 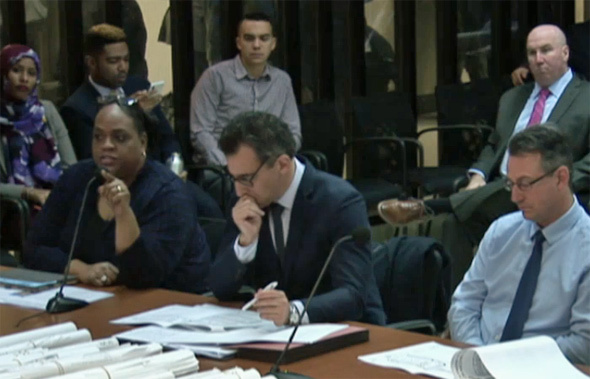 Cabral makes a point at hearing as Ross listens. Linskey sits behind them. 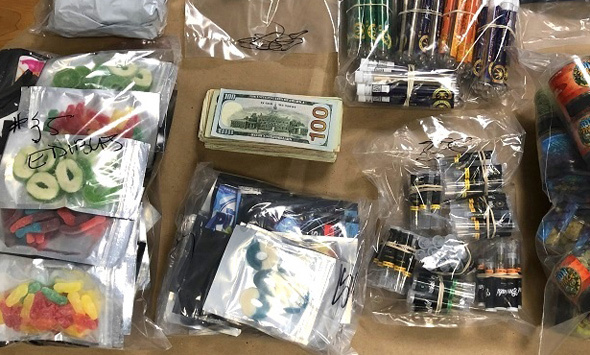 The Zoning Board of Appeals this week approved what would be Boston's first recreational pot shop, in the old Hilton Tent City building on Friend Street, near North Station. Read more. Because of course the South End would get a boutique pot shop. The Boston Sun reports Compassionate Organics is proposing a small "neighborhood-based boutique dispensary" at 633 Tremont St. Read more. A company called Natural Selections is proposing a pot shop at 345 Washington St., near Chestnut Hill Avenue, in Brighton Center. Read more. 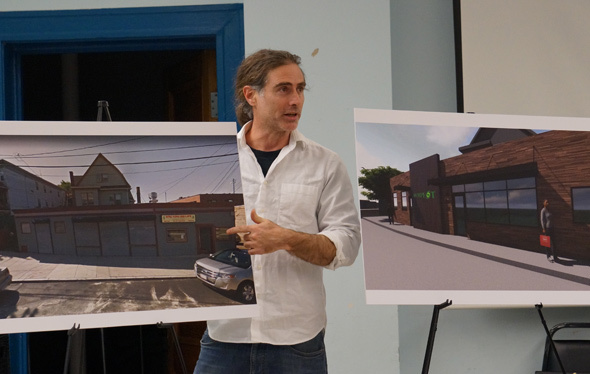 On Tuesday, Jody Mendoza and her husband, Richy Peña, hold an outreach meeting for their proposed Mojos pot shop at 1292 Blue Hill Ave. in Mattapan. Read more.